Excem provides a wide range of engineering and R&D services in radio design, EMC, signal integrity, and analog electronics design. 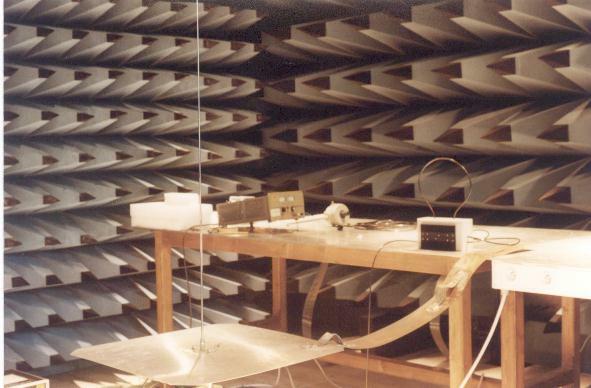 We offer expert technical assistance related to radio and EMC standards and regulations. performing research and development activities, taking into account intellectual property issues. Fig. 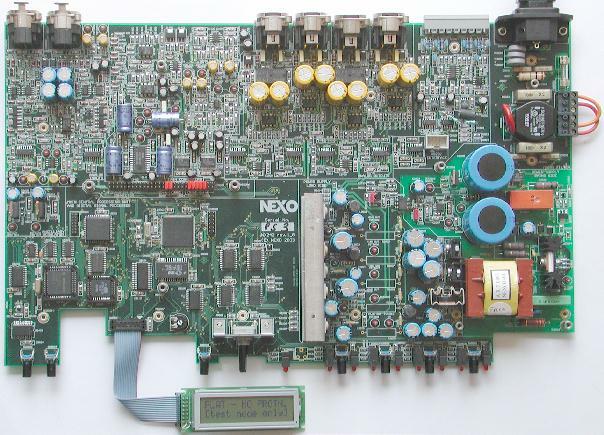 1 : the PCB of a pre-series of loudspeaker controller NX242 (year 2003). The above picture shows a loudspeaker controller NX242 of the company Nexo. Nexo has provided the specification, the programs for the CPLD and for the DSP (a Motorola DSP56303 chip), and has taken care of the qualification. Excem delivered the schematic diagrams (a patent on the analog input circuits was applied for), the design and a prototype of the power transformer, the manufacturing files for the PCB, the host processor program (a 80C32 microcontroller), the tools for programming the NX242 using a PC, EMC tests, and the documentation. 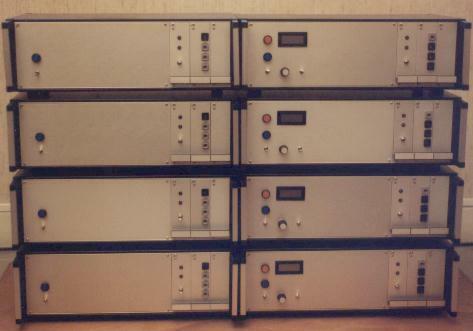 We have been very attentive to EMC and integrity of audio signals. With the 24 bit ADC and DAC implemented in this design, the audio dynamic range obtained in the band 20 Hz to 20 kHz is close to 111 dB (unweighted) for the analog and digital circuits (analog input to analog output). The deliverables of Excem may include a prototype and/or software and/or a measurement or calculation report. Sometimes we only deliver the definition of a technical solution. The output is always delivered according to our quality assurance system. Please also note that we understand all aspects of intellectual property: patent applications, protections of drawings, copyrights on software and documents. Of course, we are very careful to keep the secrets of our customers. 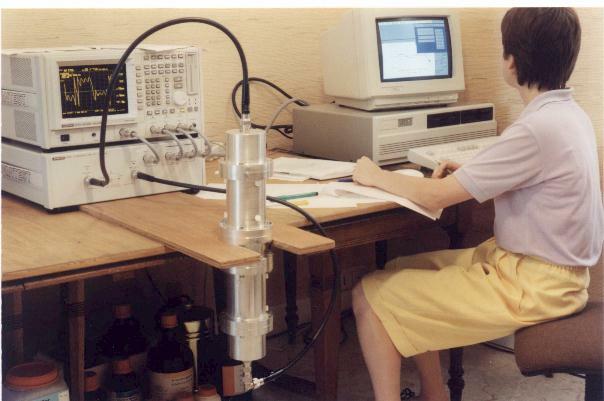 Excem is also known for its research activities. Reasearch may be the result of a research contract with a customer, or internally financed. Some of our research work has been published. When the research result belongs to us, we sometimes apply for patents ourselves. A first example is our research activity concerning the improvement of the performances of interconnections, related to several patent applications. These innovations are presented elsewhere on this site. the exact assessment of fault location accuracy as a function of all relevant parameters. A third example is the invention of an innovative system for continuous monitoring of shielded room integrity (references B14, B16, B19, B26). Several patents were applied for on this project. 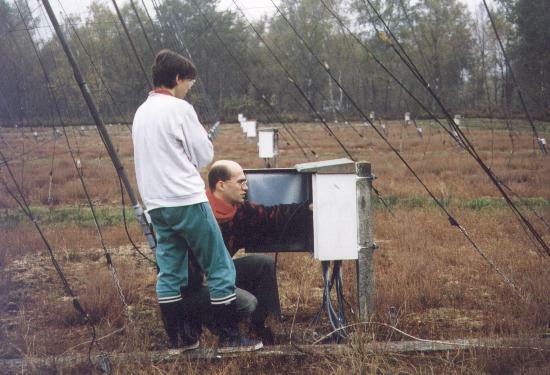 The first batch of four protopypes shown on the picture was intended for validation of the invention on real Faraday cages. A fourth example is a system for the characterization of inhomogenous electromagnetic absorbing materials (reference B17). We designed and built the appropriate instruments and software. We thereafter used them to characterize these absorbers.